The electric hatchback has a claimed range of 380 km. 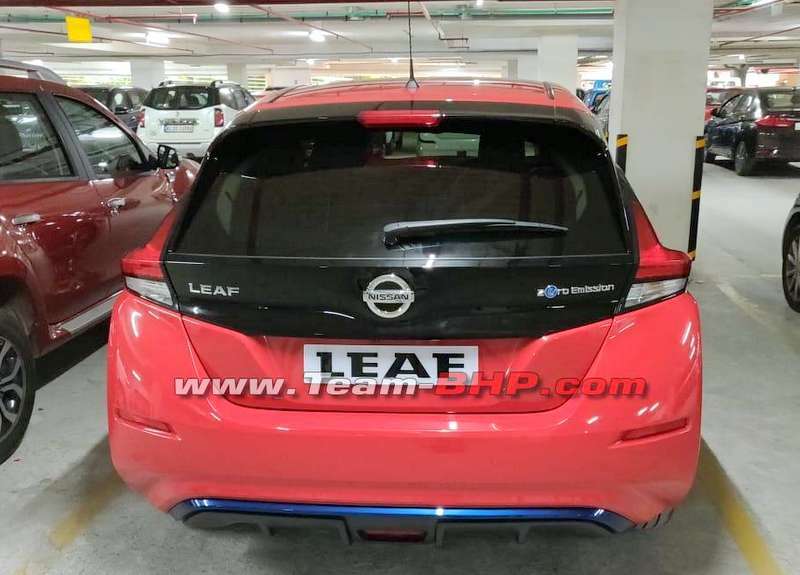 The second generation Nissan Leaf which made its world premiere at the 2017 Frankfurt Motor Show has been spotted at an underground parking lot in Kerala. 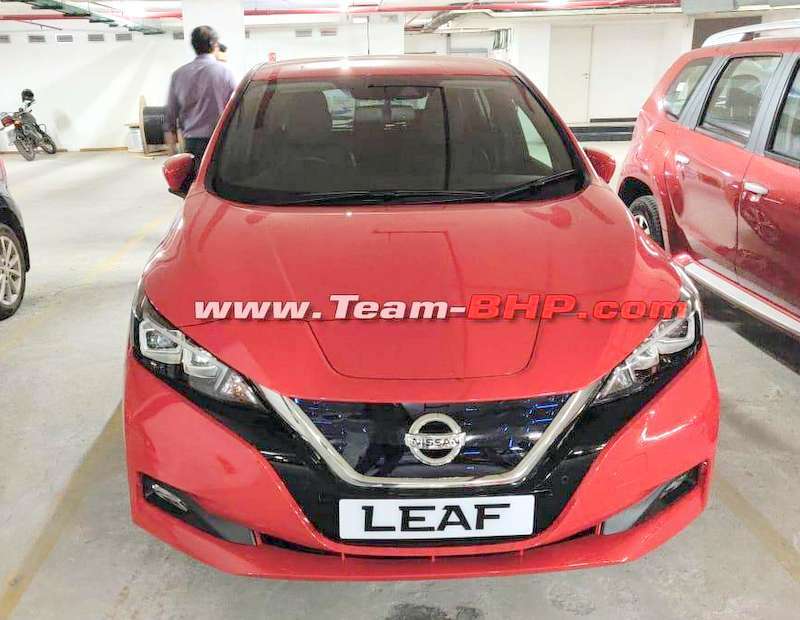 The presence of the electric hatchback in India suggests that Nissan is close to launch date and the lack of camouflage on this particular example suggests that the vehicle could be touring dealerships across the country in a build up to launch. The Japanese automaker has been exploring our market to introduce the popular electric car and it looks like it will finally hit our roads in the coming months. Unlike in Europe where it is positioned as a mass market green hatchback, it would be pitched as a lifestyle product in India. The objective would be to demonstrate to the Indian customers the brand’s EV credentials so that when time comes for mass electrification, Nissan would have a easier job convincing buyers. The second generation Nissan Leaf has nothing in common with its predecessor. The design language has progressed leaps and bounds (inside out). The hardware setup too is highly advanced. The new Nissan Leaf sports far more superior performance figures compared to the first gen model. The electric hatchback is powered by a 140 hp motor which derives electricity from a 40 kWh battery pack. The car has a claimed range of 380 km as per NEDC which is a good 129 km better than the old Leaf. The new gen Leaf is also packed with a comprehensive suite of Advanced Driver Assistance Systems (ADAS) including ProPilot single lane autonomous driving, autonomous parking, traffic sign recognition, intelligent lane intervention, lane departure warning, intelligent emergency braking, blind spot warning, intelligent around view monitor, and rear cross traffic alert. The Nissan Leaf electric car is expected to be imported into India as a CBU, so don’t expect attractive pricing. Nissan, like other OEMs, would be bringing a more affordable EV to India when the market conditions become conducive.